1. I change my hair color all the time. From very light blonde, to dark red, and everywhere in between, but never dark brown. 2. I love to read, and I have loved it since I was a little girl. 3. I have always hated shopping unless it involves a book store. My friends refuse to shop with me because I'm so impatient! 7. I am thinking about making drastic changes to my blog. 9. I miss Arizona, and although Alabama is home to me, I will always be a Zonie in my heart! 10. Olives make me gag. 11. I love riding bikes. 2. If you had a song that would fit your life, which song would it be? 3. Do you eat breakfast in the morning? Yes, it's my favorite meal of the day. My oldest daughter is also a morning person, and one of our favorite things to do is going out for breakfast. 6. Where is one place on earth you have always dream of going to? 8. Do you believe in Angels? 10. What book would you recommend people to read? The Book of John from the Bible if you've never read it. Every word is so precise, it's amazing. 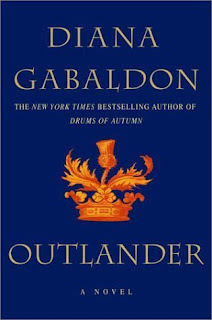 I have so many books I love, it would be difficult to recommend just one, but if you've never read Outlander by Diana Gabaldon, you are truly missing out on a great story. 11. What is your favorite season and why? Summer because everyone is happy! Pop over and say hello to Jolene and read her answers! Absolutely love the artist and the Book of John. loved this post, we are very similar!! I thought I noticed a hair color change in one of your profile pics! Daring lady! Oooh, love the pomegranate fall painting! Drastic changes to your blog? As long as you are yourself, I think many readers will love it! Outlander is a great book too. Love your blog, not to drastic on your change I hope! After reading this I see we have a lot in common. this is great fun things to know about you! I'm so interested in Book Arts - what is this?? You'd be fantastic at it by the way! 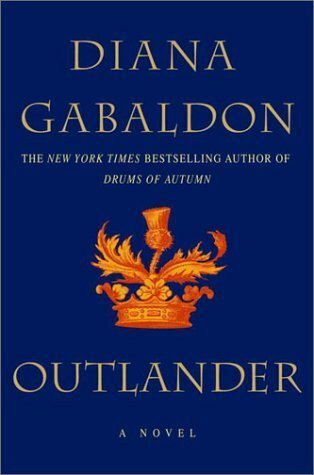 Outlander is one of those series that I've had on my list. I'll have to pick it up. Have you read "The Chaperone"? Reading it now. Can't put it down. I think you'd love it. That was fun to learn something new about you! By the way, I am currently reading Outlander because of your suggestion a while back & am really enjoying it! Thanks for the thoughtful words about me. I loved reading the 11 about you. Wow from Arizona to Alabama what a difference! I have never heard Vanilla Twilight but loved it. The painting you included...simply breath taking. I can see why this is your favorite artist. Thanks for participating.